A little while ago, I paid a visit to Jackson’s Orchard and purchased a peck of Jonathan apples so I had to find new apple recipes to try. This recipe was published in Southern Living a few months ago and I knew it would be a perfect test for fresh apples. This cake turned out great! 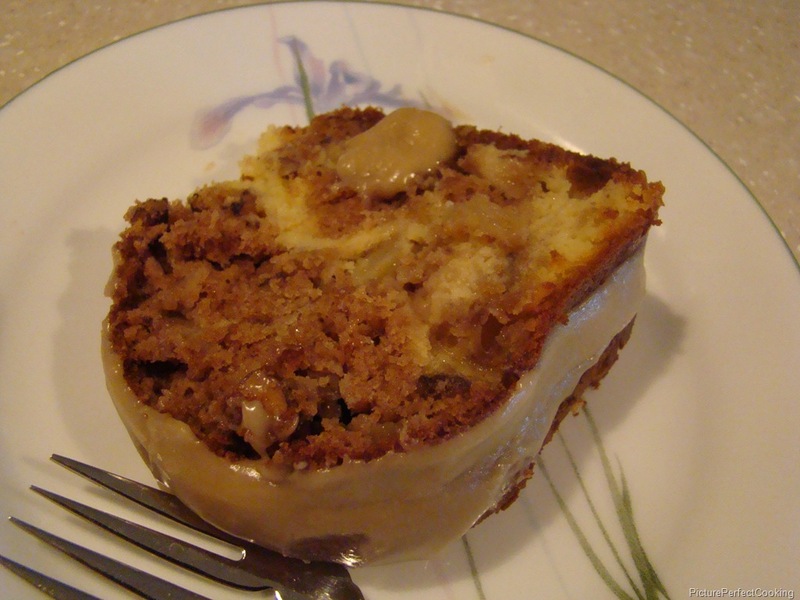 The apples and cream cheese swirl kept the cake moist for days and the caramel topping was so good. In fact, this is one of those cakes that is better a day or two after it is baked. It just gets moister and more flavorful. Do you have a fall potluck or party to go to? Take this and everyone will be in apple heaven! Note: I am not including quite as many photos as usual since this recipe is quite long already. All of the methods used are pretty basic. Beat the cream cheese, butter, and granulated sugar at medium speed with an electric mixer until blended and smooth. Add the egg, flour and vanilla. Beat just until blended. Preheat oven to 350 degrees. Spray a 14-cup Bundt pan with non-stick spray and cover with flour. (Or do like I do and use Baker’s Joy.) 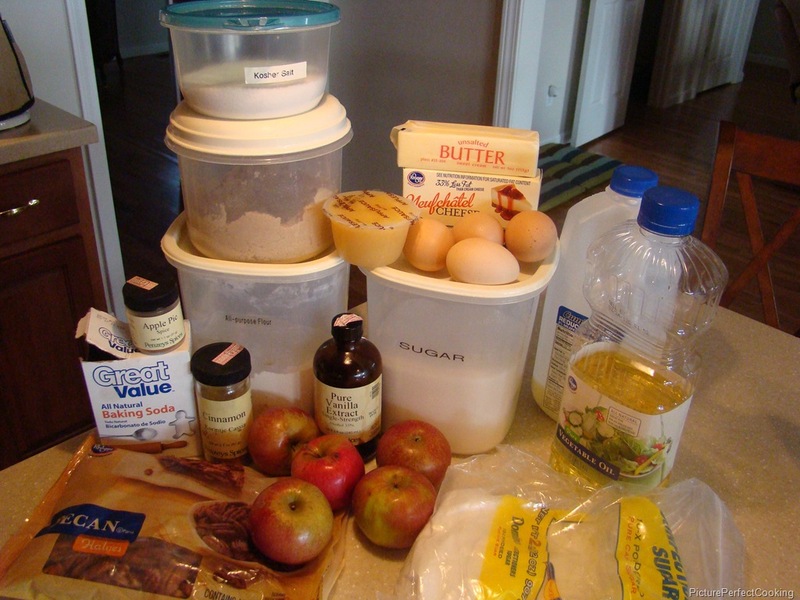 Stir together the flour, granulated sugar, brown sugar, cinnamon, salt, baking soda, nutmeg and allspice. Then add the eggs, oil, applesauce and vanilla; stir just until the dry ingredients are moistened. Stir in the apples and pecans. Spoon 2/3 of the apple batter into the prepared pan. Spoon the cream cheese filling over the batter, leaving a 1-inch border around the edge of the pan. Swirl the filling through the apple batter using a knife. 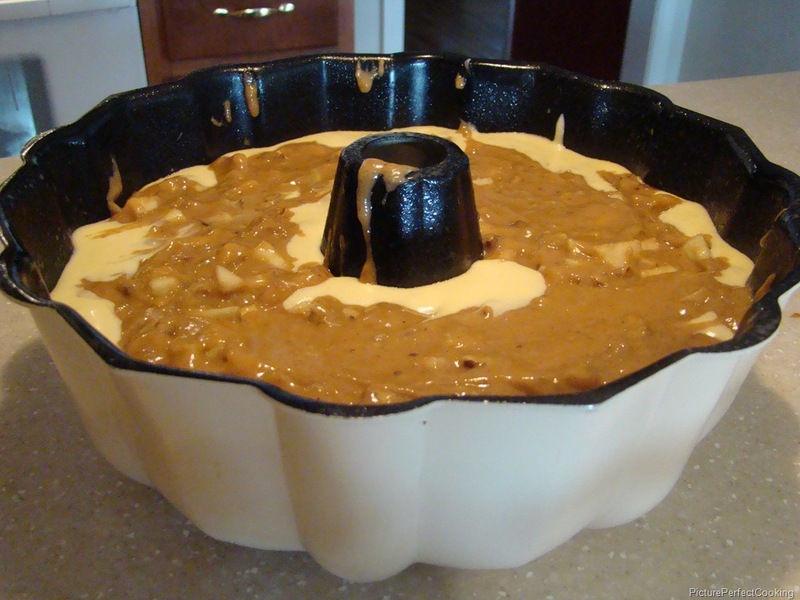 Spoon the remaining batter over the filling. Bake for 1 hour to 1 hour and 15 minutes or until a toothpick inserted near the center come out clean. Cool in the pan for 10 minutes and then turn out on a cooling rack and let the cake cool down completely. Bring the brown sugar, butter, and milk to a boil over medium heat, whisking constantly. Boil for 1 minute while still whisking constantly. Remove from heat and stir in vanilla. Gradually whisk in the powdered sugar until smooth; stir gently for 3-5 minutes or until the frosting begins to cool and thickens slightly. Pour immediately over the cooled cake. Join me over at Miz Helen’s Country Cottage for Full Plate Thursday to see some yummy treats! This recipe was made specially for my dad. This is his favorite all-time ice cream from a certain chain store and he asked me to try to duplicate it at home. I think it turned out to be a huge success! The praline pecans are wonderful by themselves and I had to mentally smack my hand to keep from eating too many. The recipe for them (which is a Paula Deen recipe) makes enough for two batches of ice cream. 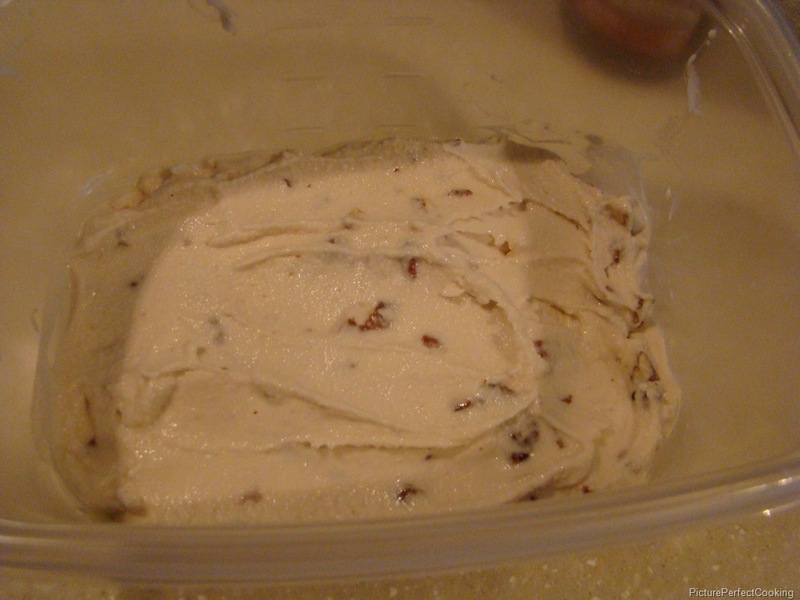 I started with my basic dairy-free vanilla ice cream recipe and added in the praline pecans while it was processing. 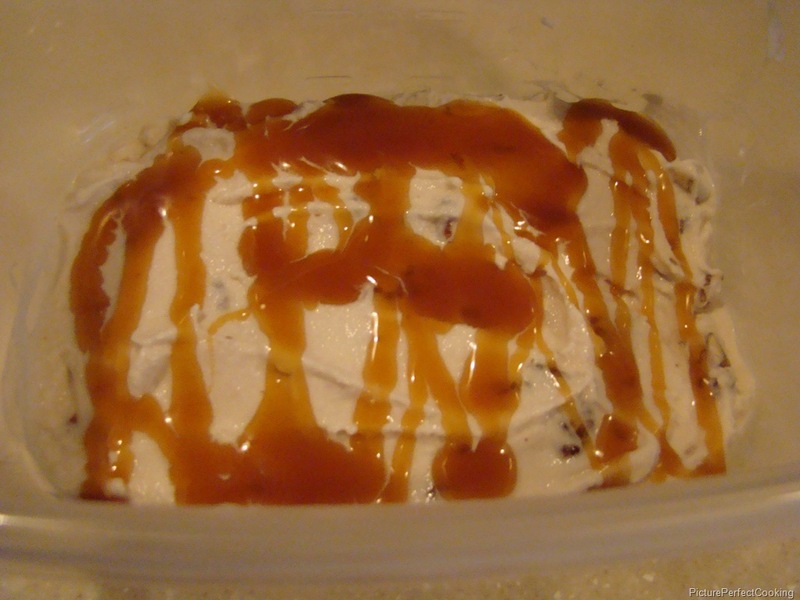 After that, it is so easy to layer the ice cream with caramel ice cream topping to make the final product. 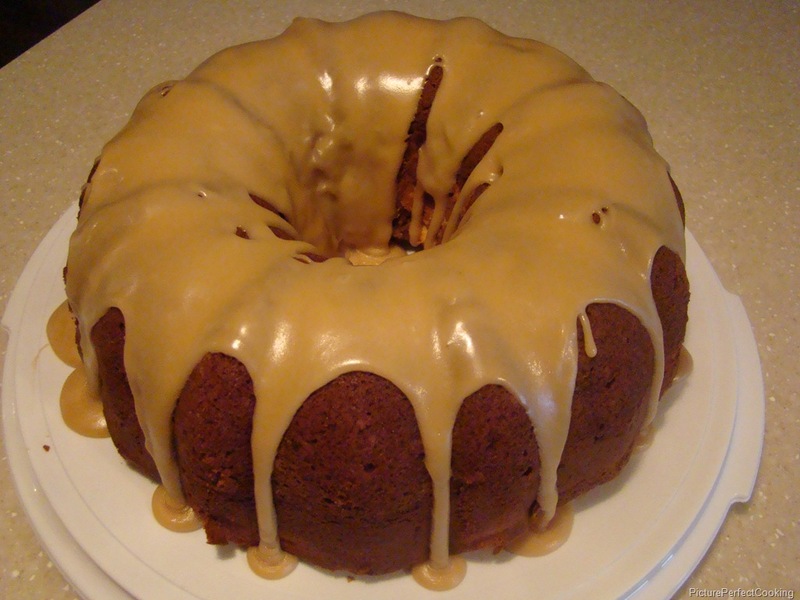 Yes, it would probably be even better with homemade caramel sauce, but I went the easier route and it was still yummy. 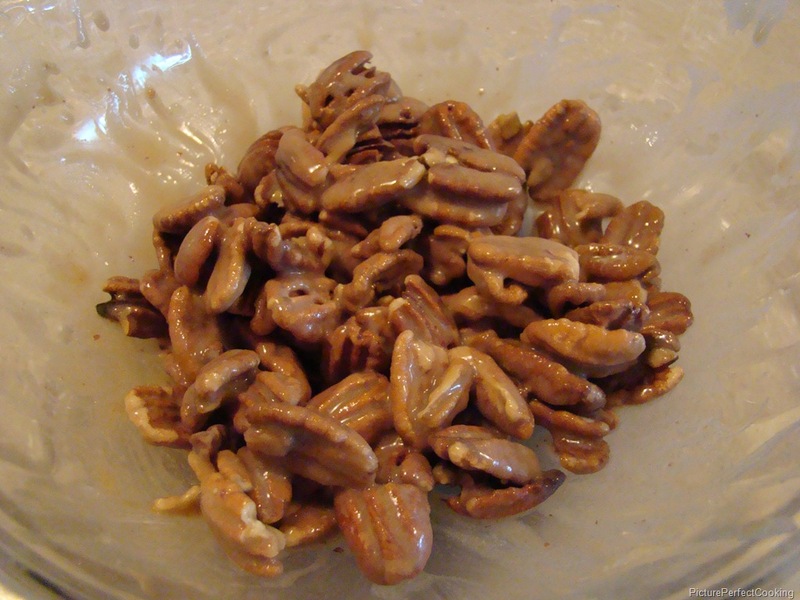 In a medium bowl combine pecans, brown sugar and heavy cream. Spread into a square baking pan, sprayed with cooking spray. Bake in the preheated oven for about 18 minutes, or until coating is dry, and slightly crystallized, stirring every 5-6 minutes. Remove from oven to cool and stir once more. Place all of the ingredients in a medium bowl and whisk until well combined. Cover and chill in the refrigerator for at least 2 hours. Turn on the ice cream maker and pour the vanilla base into it. 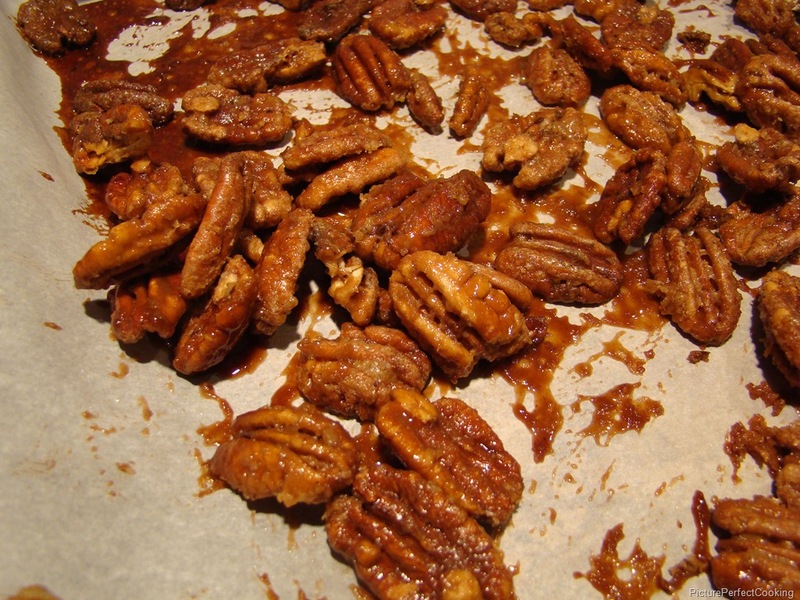 Process for 20 minutes and add the praline pecans in the last 5 minutes. 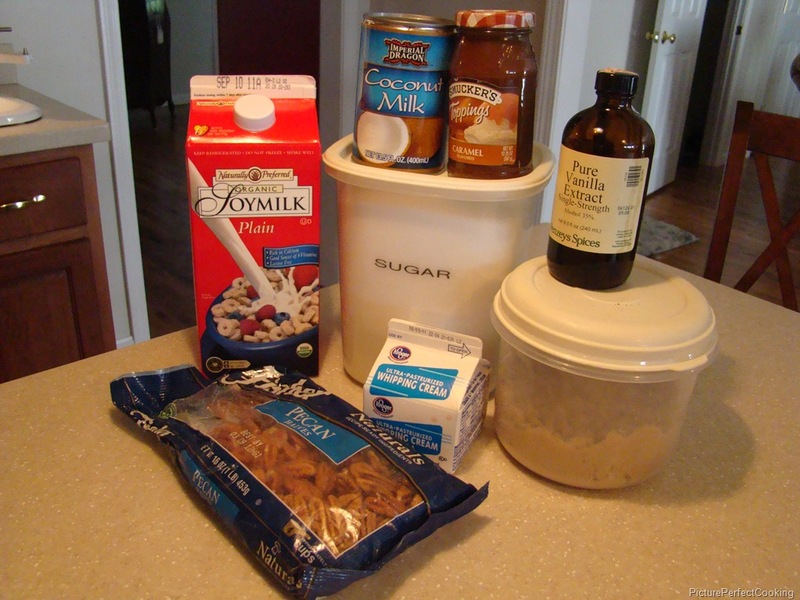 In a lidded freezer safe container, spread a layer of the ice cream. 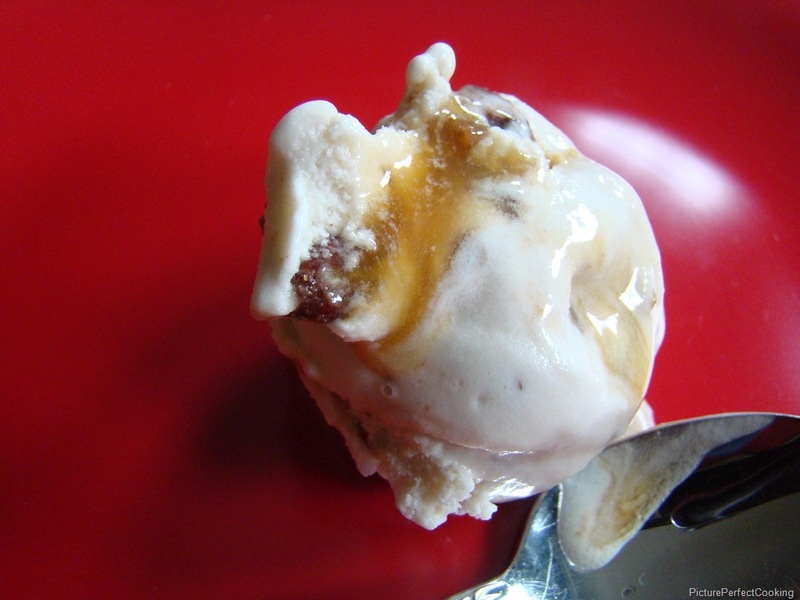 Next, pour a thin layer of the caramel topping over the ice cream and repeat, starting and ending with the ice cream. Freeze until hard, 2-3 hours. Enjoy!!! Please join over at Miz Helen’s Country Cottage for Full Plate Thursday to see this and other delicious recipes.